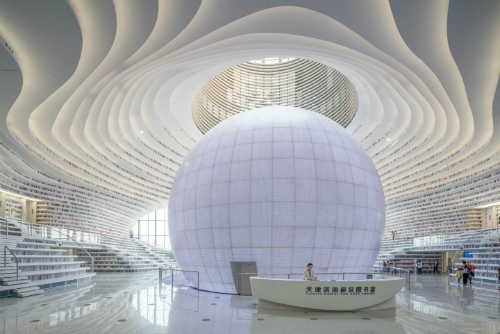 In 2017, China unveiled a library that captured the imagination of the entire world as what was called the ultimate library. 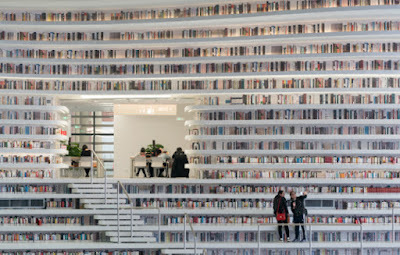 The Tianjin Binhai Library was designed by Dutch design firm MVRDV, working with local architects from the Tianjin Urban Planning and Design Institute. It was completed in only three years and stands five stories with more than 36,000 square feet. The really impressive part is the atrium. 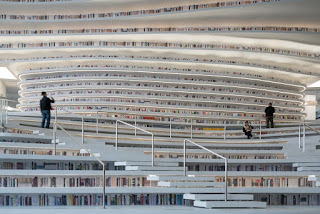 Designed to look like a gigantic eye, the main area looks like it has bookshelves that run from the floor to the ceiling. That's where the problems start. You see all those books on the walls? They're fake. The walls are decorated with pictures of the spines of books, but they're not actually real books. Yeah, hundreds and hundreds of fake books. The real books are kept in a different section. In fact, books aren't even allowed in the main atrium, because authorities have said it's only approved for "circulation, sitting, reading and discussion." To me, that would be depressing to be surrounded by what looks like hundreds of books and not be able to read any of them. The second thing that makes this library horrible is that it doesn't have that many books. 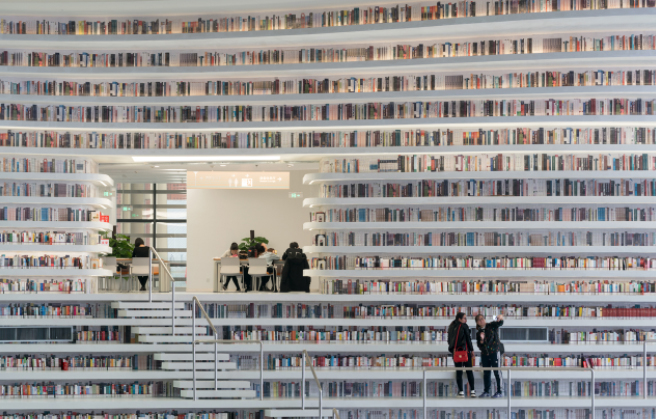 According to the article, the Tianjin library can hold 1.2 million books. For comparison, the main branch of the New York Public Library can hold about 2.5 million books but some estimates put it as high as 3.5 million. Then there's the fact that this library is in China which has some of the most oppressive censorship of books in the entire world. 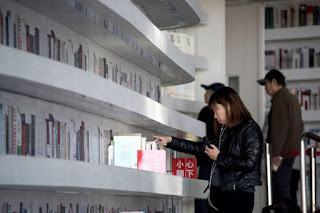 Wikipedia says that there are so many banned books in China that it's impossible to list them all. Possessing one of the countless banned books can even land you in prison. 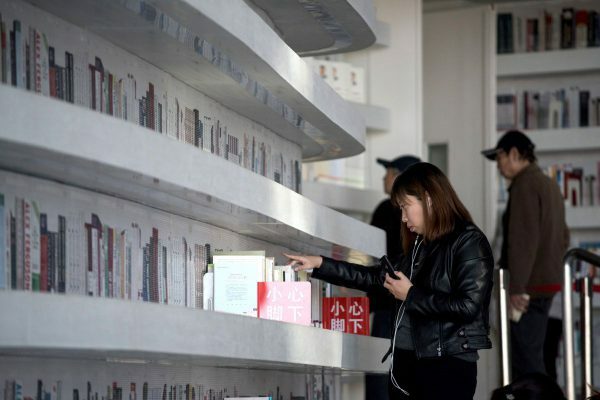 For China to make a library celebrating books is like sheep making a museum celebrating wolves. Fake books and censorship. 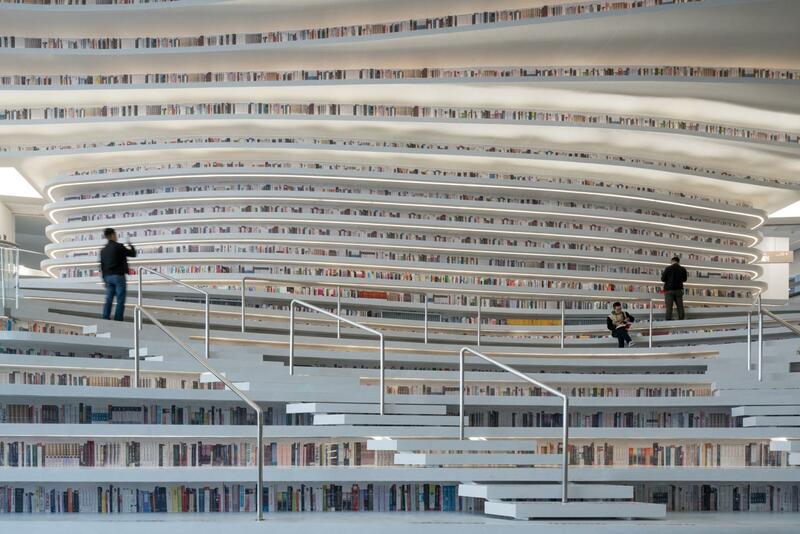 In other words, the Tianjin library looks beautiful but is the enemy of every lover of books. "My name is Timothy McGill, and I'm a time travel addict..." Time Junkie, now available in paperback and ebook formats!